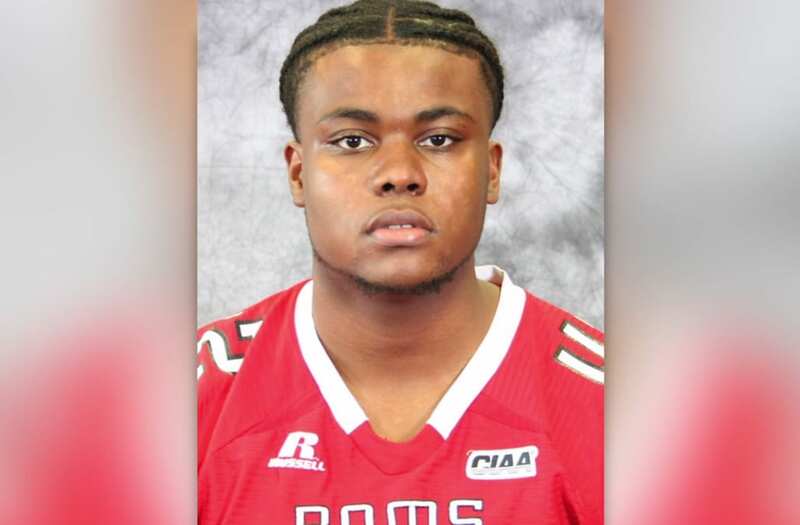 WINSTON-SALEM, N.C. (WGHP) -- A Winston-Salem State University football player died after being shot at an event at Wake Forest University early Saturday morning. Najee Ali Baker, 21, was taken to a hospital and died, according to a Winston-Salem police press release. Police were called to The Barn, an event venue on the school’s campus in the 1800 block of Wake Forest Drive, at about 1 a.m. after a gunshot was fired. Police said the victim was shot following an argument. It happened at an event hosted by the Pi Omicron chapter of the Delta Sigma Theta Sorority Inc., a Wake Forest University student organization. Najee Ali Baker, 21, died after being shot during a fight at an on-campus event at Wake Forest University early Saturday morning. Winston-Salem police do not believe the shooter remained on campus. Nobody has been arrested in the shooting. Police said it appears to be an isolated incident. "Honestly, it was really shocking," said Wake Forest University Student Aman Mehmood. "We got the text, I was very surprised because it's not something you expect to happen here." The victim was a transfer student and walk-on to the Winston-Salem State University football team. His major was physical education. Winston-Salem police are leading the investigation with support from Wake Forest University Police and Winston-Salem State University Police. Several students from Wake Forest University and Winston-Salem State University attended the event and officials from both universities are working to support students impacted by the incident. Baker's teammates gathered Saturday after learning about the tragedy. WSSU's Student Government Association plans to hold an on-campus vigil in honor of Baker on Wednesday. The investigation is in the early stages and authorities remain on scene. More evidence is being gathered and witnesses are being interviewed. "I try to not let it get the best of me or hopefully any of my peers," said Winston Salem State University student Tashina Thomas. "We just have to keep moving on and learn from those violent experiences and hopefully make better decisions in the future." Anyone with any information can call police at (336) 773-7700 or Crime Stoppers at (336) 727-2800.